The Kingston Trio used to do a song – the title escapes me but I’m permitted that as an ORF – that ended “and I don’t like anyone very much.” The topic was nationality, which used to be a big deal among social engineers and liberal aristocrats who felt disenfranchised by nationalism, but equally well applies to other topics, like race and operating systems for computers. Race is a hot topic right now because it is the current alternating, infinite renewal in political circles, a massive distraction from incipient bankruptcy which is itself the result of the financial irresponsibility of politicians. This alternation is inherent implicitly in charges of racism, because making a racist distinction is implicitly and inherently racist. Never mind that the basic idea is vapid and meaningless. It is something dear to the hearts of bureaucrats and politicians because it gives them an absolute irrelevant taxonomy that they can use arbitrarily to distinguish ‘us’ from ‘them’, which is a valid and inherently human thing but outside of the arcana of anthropologists, managers, and psychologists, is unmentionable. If you want to go see a discussion of race that isn’t polluted with anything more than social scientist political correctness clumsily done, go consult a basic general anthropology text. I use Haviland because the one I used back as a student at the campus of the Black Warrior got ashed in a house fire. The clumsiness is a matter of the books being written by academics for consumption by undergraduates who are 0.9944 bogs. And I got the text cheap on Alibris, used and paperback. One of the few boons of the racist college textbook pricing conspiracy is that it makes year old textbook cheap for folks who want to learn on their own. But organizations cannot continue if they cannot organize and the surest form of organizational solidarity is to have those who are members of organization be distanced in some observable dimension from those who are not. Hence those with different skin tint are more easily divided and organized than those who cannot digest milk or use OS-X. This is nothing more than a case of low hanging fruit, or in fancy organizational terms, minimization of resources on existence. Unfortunately, there are not enough mountain tops for everyone, unless we already all live on mountain tops and then the species will be diminishing for obvious reasons. And the only comforting thing about that would be the absence of racism – on humans’ parts, at least. It’s racist because it distinguishes between students and non-students, which is as good a characteristic as skin tint or eyelid musculature. Never mind that students and non-students are the same species and inter-fertile. And it’s a conspiracy because it is being perpetrated by the folks who manufacture textbook to maximize their cash flow. And probably profit. If you think humans are racist, look at formicidae. Cheap as in floppy disk, that is. On the toes of Sony’s announcement earlier this week [Link] that they will cease production of 8.9 cm floppy disks early next year, I have been mentally ruminating on my experiences with floppy disks. 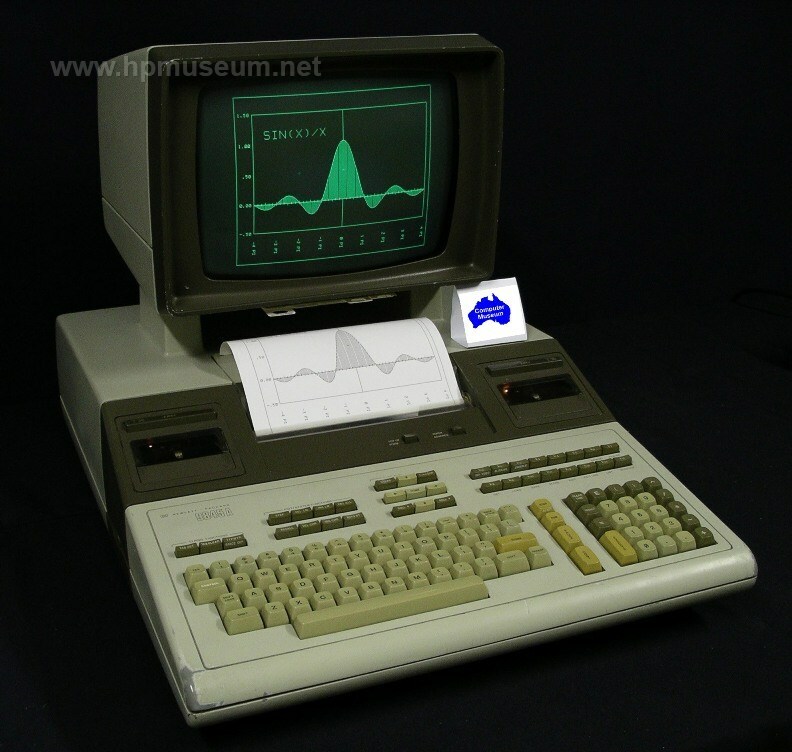 My first experience with ‘desktop” computers came in the early ’70’s, back when desks really were desks, usually gray painted steel or brown stained wood in construction. This was before the cubicle really caught on and modular furniture was unknown. 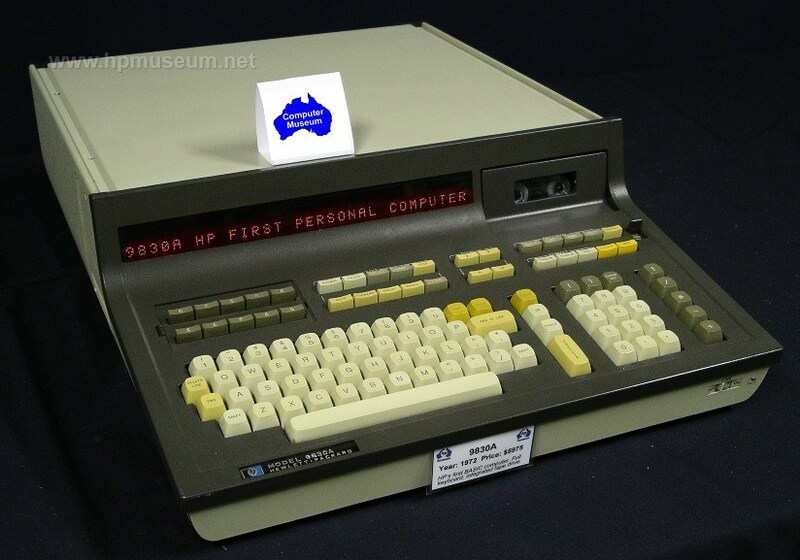 I had been using mainframes starting from my freshman year in college, but the only number crunchers that sat on desks (tables) were calculators. One of the professors at the campus of the Boneyard had a programmable calculator made by Wang, which was a bit of a titter, but he didn’t even let his grad students use it. with a printer sitting on top that doubled the height, an X-Y plotter, and eventually a removable platter hard drive that had platters almost 2/3 m in diameter and an 80×24 crt. The printer would print 80 columns on rather expensive thermal paper – keep coffee cups away till cold! – and data was stored on leaderless cassette tapes. HP got an outrageous amount of money for those tapes, something like $25 each for a 5 minute tape, so I got a friend at the campus of the Tennessee radio station to make me up 100 leaderless cassette tapes from scratch, each an hour long, for that same amount of money for materials, and a fifth of bourbon whiskey (it’s American after all.) This was the start of the quest for cheap. Incidentally, the CRT terminal was added so we could economize on paper. The screen with the 9030 only showed a third of a line of code at a time so it was useless for debugging. And that array of hardware literally covered the top of a desk dedicated to the beast. One CPU for an office of about 50 nerds. Of course, most of them went through college before digital computers so they couldn’t write code so I only had to share the beast with a couple of other young flatulences. that had an actual screen and did x-y plots but still had the same crappy thermal paper. The cassettes were now high speed and a smaller format and the price went up to $100 each and no help from the radio station. But it came with three 20 cm single sided floppy disk drives. This meant we didn’t need to use the tapes any more, but we now had to buy floppies. And HP got $500 for a box of ten. 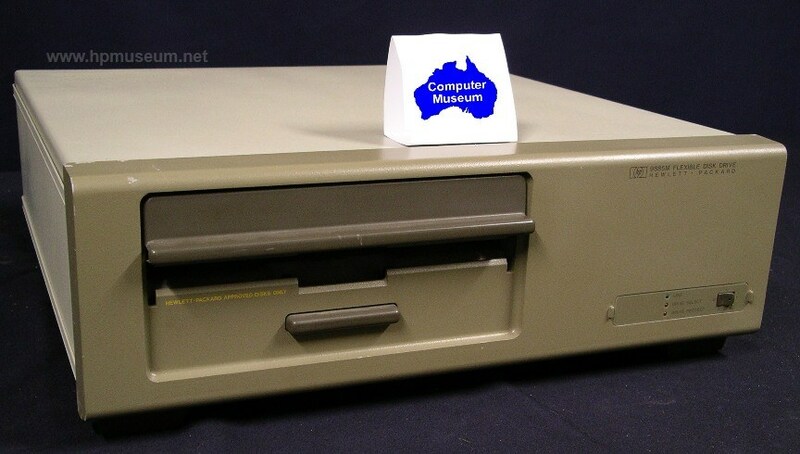 which also took up the top of a desk plus another volume half as big for the daisy wheel printer, but it also used the same sized floppies and CPT sold them for about $5 each. And we found out really quickly that we could reformat the CPT floppies to work in the HP drives. In fact, I still have a box of those floppies hid away somewhere as an antique. May be worth what we paid for it some day. And what was hilarious was that the HP salesman came to see me asking how come we never bought any floppy disks from HP any more? He was not happy with my answer. Shortly thereafter we began shifting over to PCs although at that time PC meant IBM and most of what we bought was from someone else, usually whoever cozened the Yankee army into giving them a contract and whatever cheap piece of Stercus they could get away with. That was how the Yankee army managed IT then and now, on the “if you need a wife we will issue you one” model. So you bought desktop computers through some central contract and could only buy what the contract permitted, which worked like Stercus for lubricant in the nerd environment. The same applied to floppies. Each installation bought floppies through the supply facility and they were rationed. There was no idea that data needed long term retention so the idea was that if your floppy disk got full you just erased something to make room. To get a floppy you had to sign for it and to get another you had to turn the other in damaged. And they were paying $25 each for 13.33 cm floppies. So we found a way to go out to the manufacturer, 3M in this case, and buy floppies for $0.1 each in kilodisk lots and ignore the supply people. But this sadly is how a lot of big organizations, especially in government are. They figure if something is small it will get stolen so make people sign for them, and to justify the signature they buy the most expensive version and then the managers go into sticker shock. I remember when we first started buying desktops and paid about $5k for a single ensemble – box, monitor, printer – and the management grumbled but agreed that was OK. Then we said we had to spend $250 for each client, such as word processor or spreadsheet and all of a sudden there were coronaries in the executive suite. Somehow $5K for hardware was smooth but $0.5K for software to use the hardware was turbulent and stormy. Anyway, next came the 8.9 cm floppy, which isn’t floppy, and there was great disquiet in the land. Most of us didn’t like it because it held only a bit more than a real floppy and it cost five times as much, which meant the Yankee army would be rationing them again, which did occur until be pulled the same short circuit again. But it was less of a flap because by then the great slide of hard drive prices had started and we all had 20 or 40 Mb hard drives on our desktops and didn’t need to depend on floppies as much. And we had Bernoulli boxes which were better. And then there were ZIP drives, and then something else and now we have memory sticks and little hard drives in cigarette cases. But I still have lots of old floppies that I may need something off of some day. maybe. But not today. Rule 31: It is generally considered bad form to discorporate messengers. The most notable exceptions include the situation when the messenger is the author of the irritation in the message and his chutzpah in serving as messenger is ample evidence of death-wish. Another is that the messenger is a shmendrick. In both cases, the eradication is a mitzvah, in the first instance to the messenger himself, and in the other case to humanity as a whole. Today was Quirks and Quarks day at gym, which was marked by an increase in the numbers of the education mafia but still few weight bouncers until just before I departed. I know there were several things discussed on the episode but what stuck in consciousness was an interview with a chap who researches gribbles. The gribble is an isopod that subsists on wood. [Link] It was introduced as being a considerable pest back in the days of iron men and wooden ships because an infestation of gribbles would literally digest the ship away, and, as we know, iron men do not float well. Today the interest is in mimicking its digestive process to make biofuels. My first thought was that it was too good an accident that this was not the inspiration for the tribble of the original Star Trek – the one with all the good actors creating amazing characters, and, well, somewhat shamefully, that Shattner fellow. After all, trouble + gribble -> tribble? And they did eat all of the wheat, chaff (wood) and all. Anyway after I had driven back to the residence and was doing a last check of heart rate, and fiddling with keys and car lock clicker and flashlight – Greater Metropolitan Arab is heartland which means few street lights – when a couple of things started beeping. The heart rate monitor had bottomed out and was beeping to tell me it was shutting off, and I was trying to clean a bit of pocket fluff out of the bulb contacts on my key-ring flashlight – a one AAA cell Gerber – and the cellular telephone was giving me some sort of alert and I realized that our lives are overrun with our own type of gribbles. The difference here is that the gribbles of our lives don’t eat wood, they eat time and attention span. Altogether too many of the things in our lives make attention gathering noises. My computer makes a noise every time an email arrives or any other of a long list, mostly uncontrollable and I am using Linux and not Windows with even less control over such things, of things some code jock or, more likely, marketing executive, has decided I need to be distracted to. The microwave makes noise while it runs and when it finishes, as does the regular oven. The cellular telephone is a worms nest of such noises. Why even my automobile makes them. And they all rob us of what we are thinking of, and steal our moments to pay the price of long seconds before we identify the meaningless thing signaled and try, often in vain and always with great effort, to return to that important thing we were thinking of but are now all too often unable to recapture. Just last week I noted an article explaining that we humans can sorta think on two things at once but fall apart when the number goes to three. This is what is damning us. Our gadgets are adding that third and in so doing destroying the other two, all too often. So like the gribble, these attention gribbles are eating the ship of existence away from around us. Our very intelligence is being compromised by these “alarums”. Verily, these are no boys with bugs but something truly to be feared and exterminated. A lovely day so far. Tuesday at gym is usually a good day just based on some fixation observed in humans that decides they need to go to gym three times a week and that needs be done on M-W-F. Anyway, the weight bouncers were pretty well absent today and the education mafia present were pretty restrained or actually exercising something other than their vocal instrumentality. The weather is a bit overcast and rainy which somehow got mirrored in the podcast episodes, all of which ostensibly deal with science but are often about the social aspects of science – or what the journalists think are the social aspects of what they is science. Anyway, little of what got spread over four different podcasts was memorable enough to stay stuck. In fact the most memorable thing about the podcasts was that despite the fact they were all originated last week, they matched today pretty well. I did however note in the Daily Illini an article entitled “As a senior, what will be your most missed memory from U of I and why?” [Link] which is one of those articles that appears when there isn’t any news and frantic editors send journalists out into the street to look for amusement and sensation. As is usually the case, this attempt failed too. My first thought is that the whole idea of the article is whacked. What would be illuminating is not what students now say they will miss, but what students of yesteryear say they do miss. Of course, doing something like that would take actual work, which appears to be contrary to the code of most journalists. That aside, I then moved on to contemplate what it is that I miss from my days in college. First and foremost would have to be taking lectures where some wonderful idea is revealed that is simply overwhelming. I still get the effect occasionally, but now it is from my own research, or understanding someone else’s rather than from a lecture. Hence, what goes with this is the density of these moments. Now they come a few times a year, back in undergraduate shul they came several times a week. Another thing I miss is the freedom. Life was simpler then. All I had to do was go to classes, study, and make good grades on tests and assignments. If I wanted to go sit in the fog/mist on the quad at midnight or later, I just went and did, and didn’t have to worry about constables or criminals. Or the complications of being a senior. I generally don’t want to go be young, but it would be OK if I could go back to then and there. Somehow undergraduate shul was more fun than graduate shul. Not more satisfying, just more fun. It was more varied and life was easier and there was more freedom. And the people you were dealing with – professors and clerks and technicians – knew what they were doing, something vastly different from the teachers and administrators in primary and secondary shul who had all sorts of credentials but didn’t seem to know what they were teaching outside of the syllabus. That’s what I miss. The wonder, the freedom, the new learning. No wonder they say physicists are over the hill by 30. Ah, the joy of Monday! Once more into the breech of gym to perspire, nay, to ache and fight the good fight against the bullying of the education mafia and the weight bouncers. Happily also on Monday the pointy headed Irishman is absent from Reynard News. Monday is also Ideas (Canadian Broadcasting) podcast day and today was no exception. And while the episode was adequate with a few tidbits of attention gathering – the first of two episodes on Lorenz’s (sp?) legacy of observing animals, my real cogitation has been on the marvels of atoms. Yesterday an article on atoms, “Atomizing Your World: How Atoms are a Part of Everyday Life”, [Link] crept into my RSS accumulator, courtesy of the ScienceRay folks and my subscription to their feed. Despite the horribly patronizing title, and the obsequious presentation of freshman chemistry basics, most of which I knew, I was appreciative of being reminded of them. As seen in the image above, the atom is mostly empty space. which led me to think about the nature of quantum mechanics. One of the common mistakes made in lower level courses talking about atomic structure and QM and probability theory is that the electron ‘cloud’ is a sort of mashed potatoes of charge. If this were so, then the atom would not be mostly empty since an electron has both mass and charge and these would be spread about in density proportional to the probability density. This is a problem because the secondary shul system doesn’t do a very good job of making students literate enough to go to college. They do a poor to fair job on actual literacy – reading – but an abysmal job on making the students calculate or computate – maths or computer literate. Even though many more high shul students see calculus than they did I my day, many of those students still have to retake basic calculus in college. This is largely because high shul courses are taught by educationalists with degrees in education instead of degrees in the subject they are supposed to be teaching. And this is not helped by parents who think algebra is a form of torture to be lived through. Which is why college professors have to feed watered down lies to entering Freshmen and Sophomores. “General Public” = something individuals are too intelligent and rational to purchase.